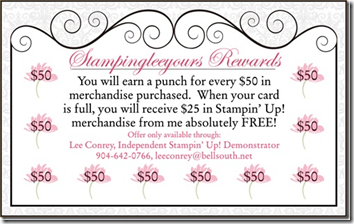 I finally opened my big box of fun new stamps from Stampin’ Up! I decided to do the weekly sketch from Stamping and Blogging with some of my new goodies! I’m featuring the “Santa Stache” Stamp Set from Stampin’ Up! I think it’s quite different, for me anyway. I hope you enjoy it. Almost forgot to share the sketch….hope you will play along. Now for the rest of the Design Team…please make sure to visit ….you’ll be glad you did. So many wonderfully talented Ladies!!! Have fun! There are just a few more weeks to take advantage of the 1/2 price sale on Paper Pumpkin. You might want to check it out. If you don’t have a Demonstrator I’d be happy to fill those shoes….make sure to add my name when ordering. Here are you weekly deals as well…..love it!!! Thanks for stopping by….see you next time. and how stinkin adorable is this little guy, LOVE him and a little sneak peek at what's coming on the Holiday Catalog, whoo hoo - can't wait. You have just made my wish list even bigger lol, love, love, love your card. Look at you....so cute. Love the bright festive feel. Hugs from Shelagh. What a brilliant interpretation of the sketch, i love how distinguished he looks with his huge moustache! Perfect Xmas card, I must use this idea! Great card Lee! Eventhough I don't understand this stamp much (I think that's a Dutch thing) you make it fun anyway! That mustache is amazing.